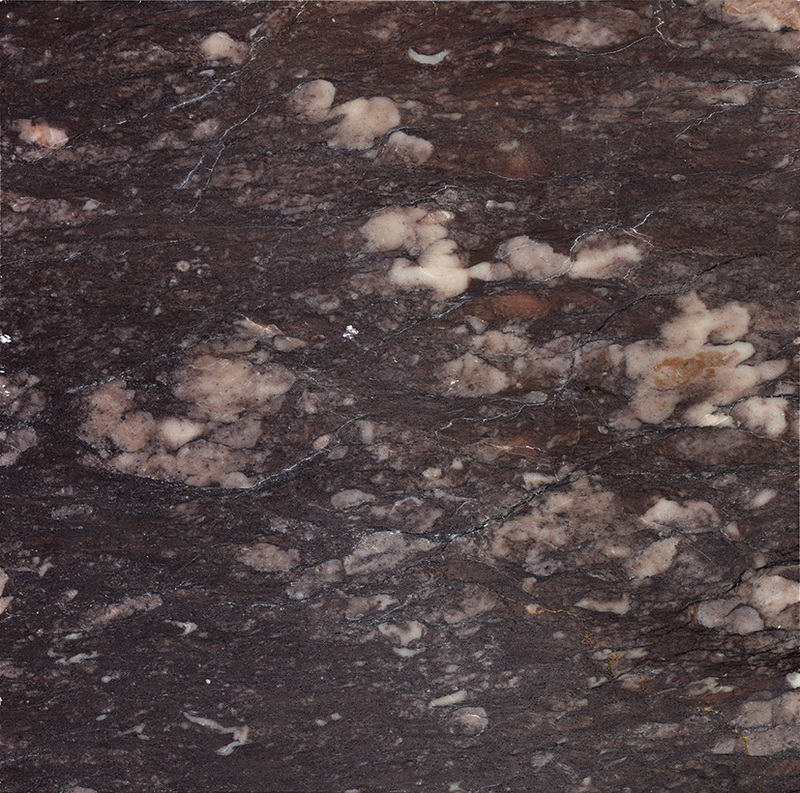 On our 150 acres site, 7 different colors and textures are extracted in 4 separate quarries. An extraction authorization of 45,000 tons per year ensures a qualitative and quantitative development. Most modern techniques are used: sawing with a 360 ° shearer and cutting with diamond wire. 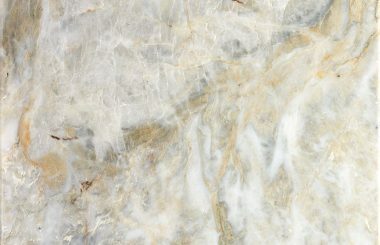 These techniques, combined with the high level know-how of our team, ensure in the best working conditions the selection and extraction of the finest blocks These quarries are operated in successive stages. Each color is delimited by a fault zone made up of schists. 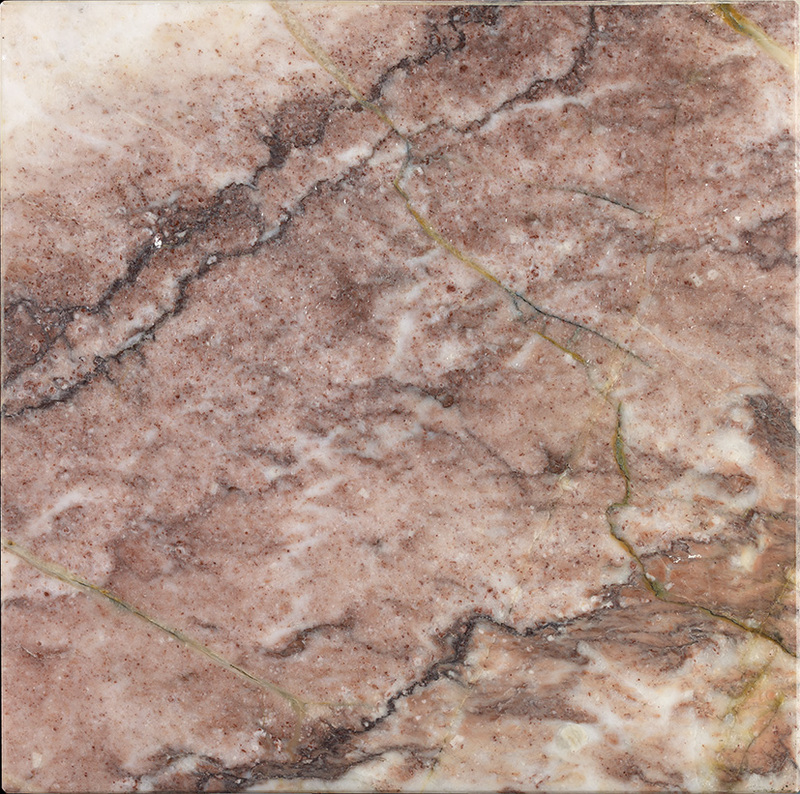 The different bearings allow a selective extraction, following the directions of the veining, thus ensuring the production of homogeneous blocks according to their color and their veining. 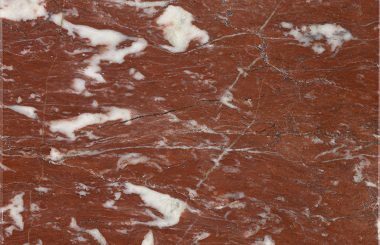 Known as the “red marble of Languedoc”, the RED MARBLE OF SAINT PONS is close to both the “Rouge de France” and the “Rouge Incarnat” according to the places where it is extracted. 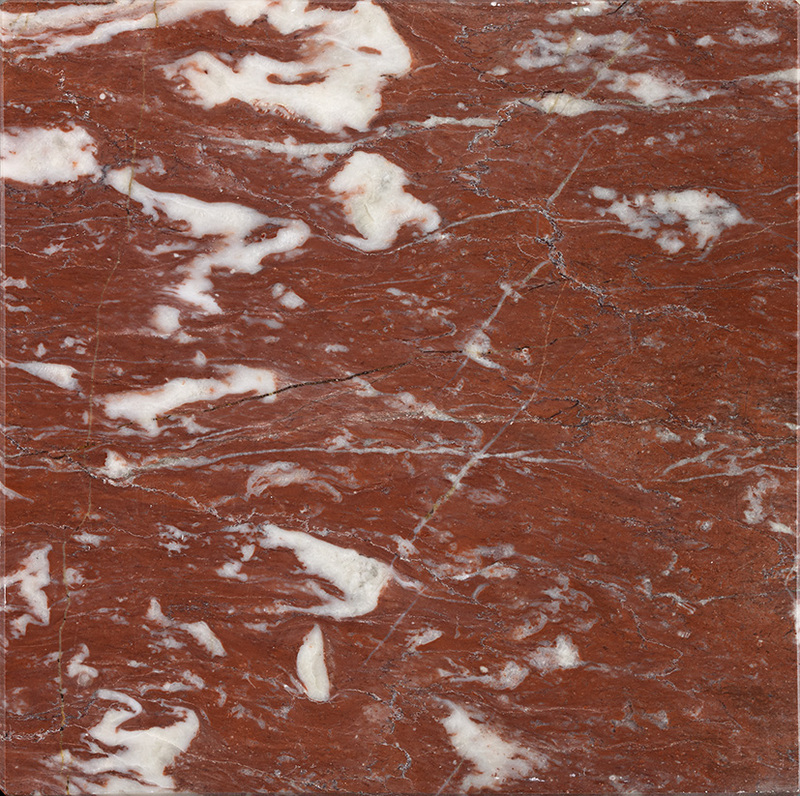 Red veined white or grey with small black ribs, this marble is known and recognized especially in Versailles Castle where he was very popular with architects mainly for the realization of furniture. Ce marbre ancien dont le nom est une référence parmi les marbres français, a été utilisé dans les années 50 à 80 en aménagement intérieur (dallage et en mobilier). Le Kuros Doré est un marbre à fond blanc crème, associé à des veines de couleur jaunes dorées et pêches. Disposé en livre ouvert, son veinage est extrêmement décoratif. 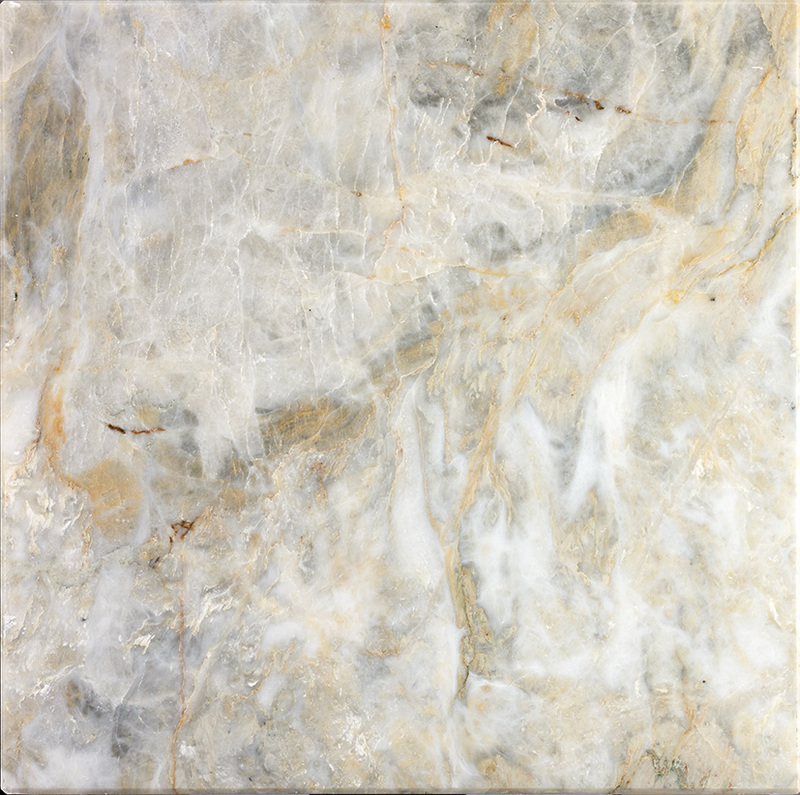 The Kuros “Pearl de Nacre” is a marble with a creamy white background, drawing towards grey-blue, and topped with yellow veins. The look and the color evoke mother-of-pearl which leaves an impression of lightness and discretion. Specific lighting will reveal its transparency properties and sublimate all your architectural projects. 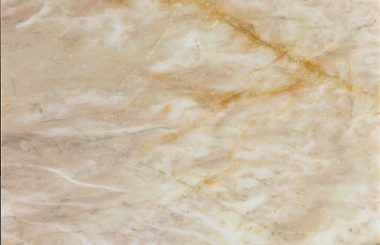 Similar to the Italian marble "Fior di Pesco" the KUROS PEACH FLOWER MARBLE has creamy white background strewn with peach to purple veins. 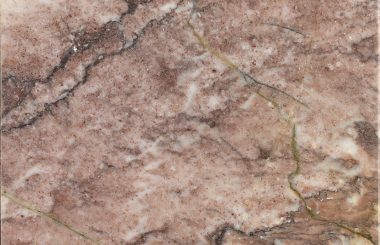 Often used in the 19th century in top cultural buildings, including the Opera Garnier in Paris, this marble has a strong added value in decoration. 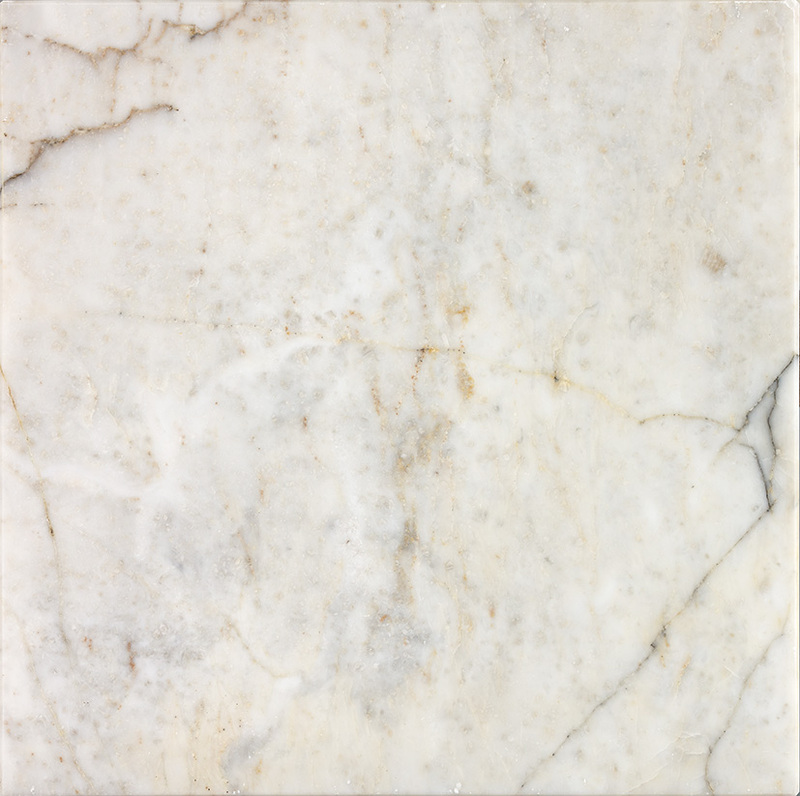 Skyros is a white marble whose deposit is limited to small quantities. 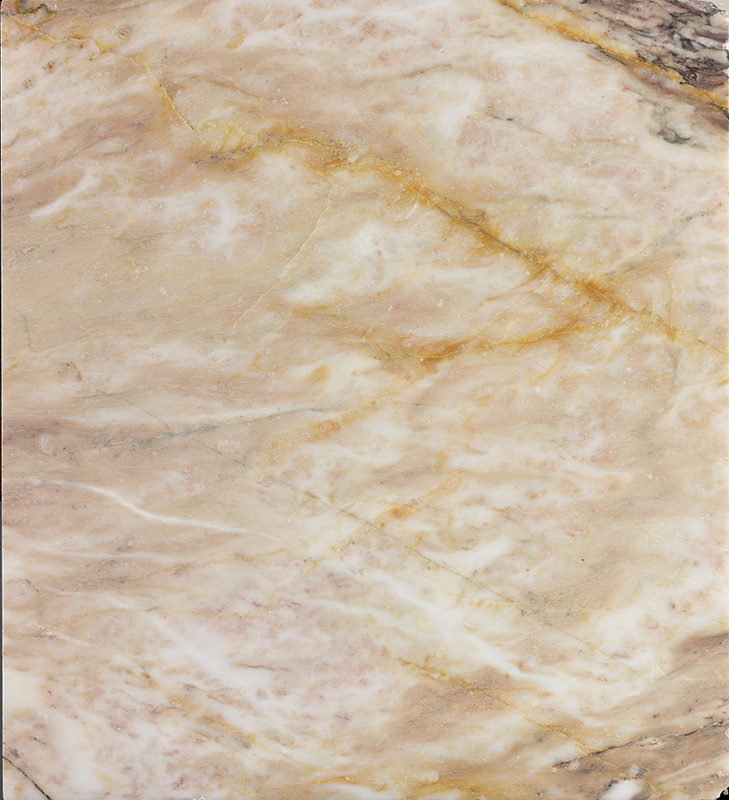 From a snow-white crystalline background, it is dotted with light yellow or black veins. The blocks extracted in this material are very tight with little flaw. They are most often used by carvers or interior designers. 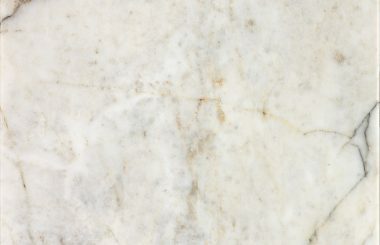 Royal Purple marble is unique in the world. 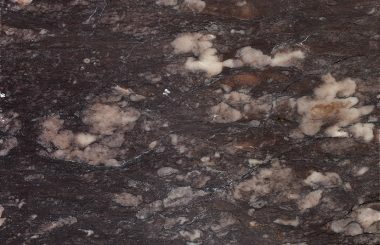 Characterized by a purple plain background, it can be sprinkled with grey veins. Its polish gives it a depth and density highly appreciated in decoration and furniture design. Combined with a brushed finish, the Royal Purple marble provides a special touch of fantasy similar to that of leather.